Gansu, China - 26 Feb 2010. 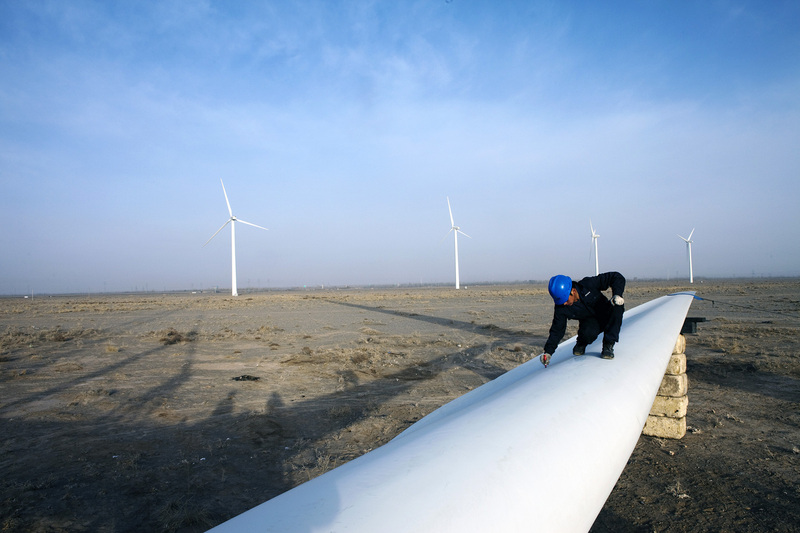 A maintenance worker marks a blade of a windmill at Guazhou wind farm near Yumen, Gansu province, China. China has set a target for renewable energy consumption of 40 percent of the market by the year 2050.Photographer: Markel Rendondo/Greenpeace.